1. Format the Thumbdrive to be MS-DOS compatible. Firstly, the Palsonic TV I was trying to use would not recognise a Macintosh formatted USB disk so I needed to format it as an MS-DOS drive. Here’s how to format a thumb drive as a PC compatible drive. This holds true for photos as well. Thnakfully if you buy a new thumbdrive they come formatted as MS-DOS compatible. 2. 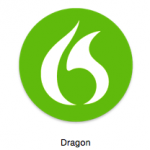 Convert the songs to the most generic format – MP3. Secondly I needed to convert the iTunes songs to MP3 format because the Palsonic TV I was trying to use did not recognise AAC files. 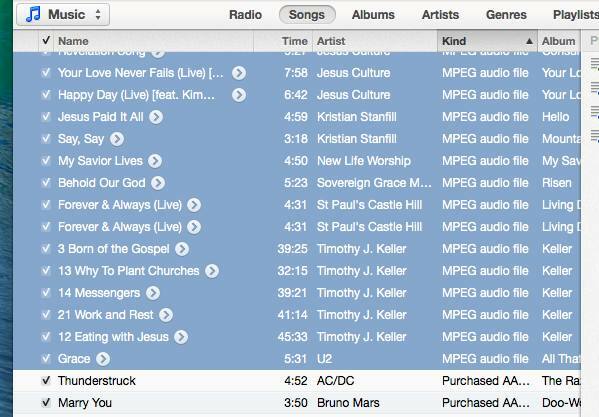 Thankfully this is easy to do in iTunes. Look at this Screenshot. 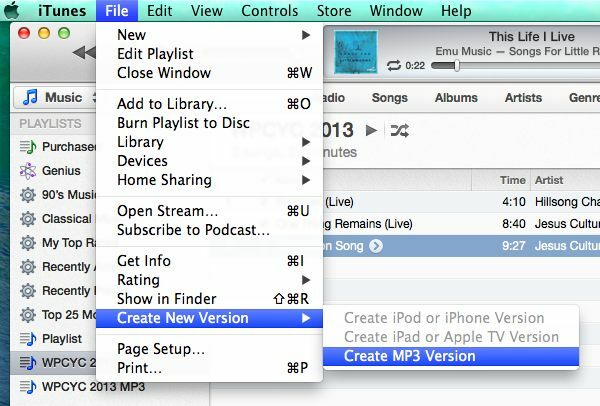 To create an MP3 version of a song you simply select the song, then from the File menu choose ‘Create New Version’ and select ‘Create MP3 Version’. 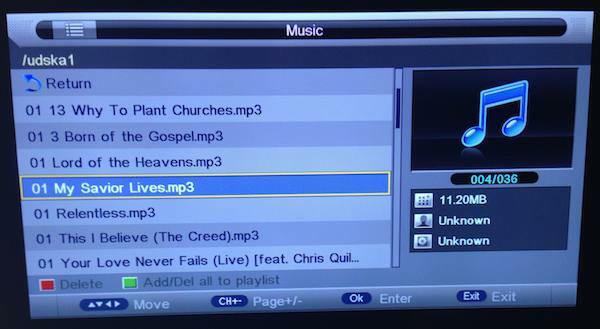 You can do this to multiple songs at once, so you can select 20 songs and turn them all to MP3 files in one click. Here the songs are sorted by ‘Kind’ so I can easily drag the MP3 files to my thumb drive. 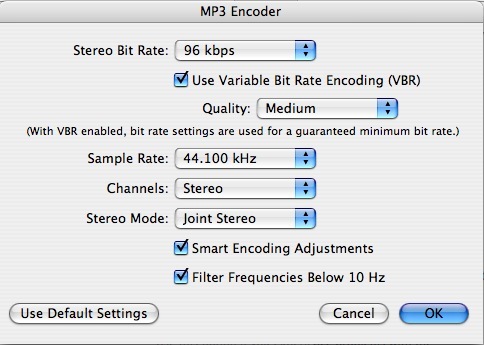 How to import spoken word into itunes How to import songs into iTunes with no loss of quality How to import songs into iTunes using the LAME mp3 encoder How to watch a DVD on Apple TV How to watch a movie from your computer on Apple TV.